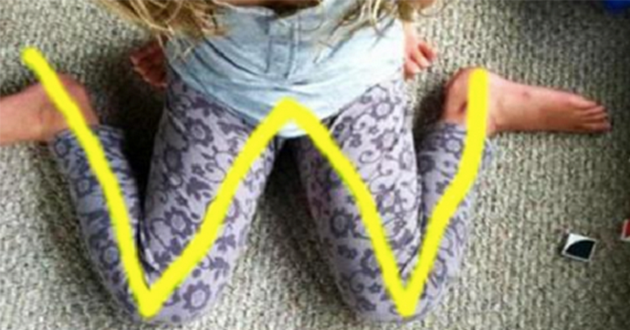 Children quite often sit in the “W” position because they are very flexible. However, this position can lead to some really serious orthopedic conditions, as it prevents them from being able to shift their weight and achieve “trunk rotation”. The inability to rotate prevents a child from stretching to grasp things out of their immediate reach, but it can also have long-term serious consequences. In order to develop adequate balance reactions, such as the ability to catch a fall, a child needs to have developed this weight-shifting and rotating ability. These abilities are also integral to crossing the midline, which is necessary for writing. Furthermore, W-sitting causes actual shortening and tightening of the hip and leg muscles, causing the child to be “pigeon-toed” when he walks. This will eventually lead to complications of back and pelvic pain as they grow. The video below explains both the physiological dangers of allowing your child to sit in the “W” position, as well as the impairment to properly developing motor skills.